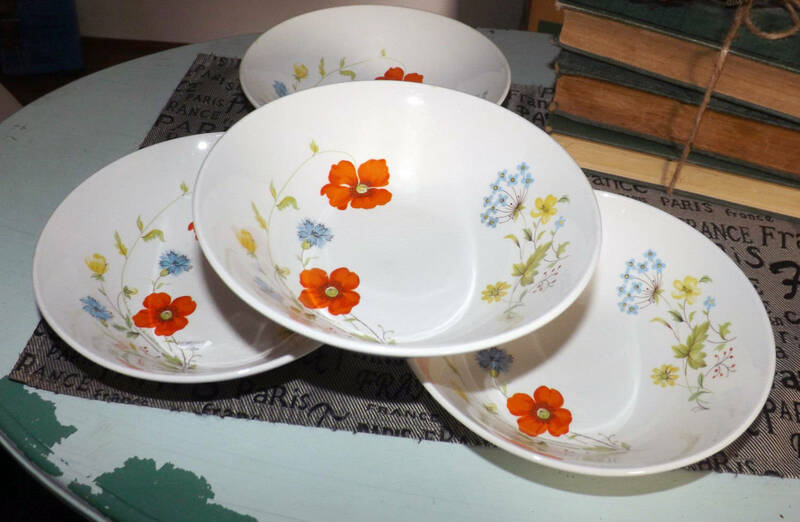 Vintage (1970s) Johnson Brothers Summertime pattern cereal, soup, or salad bowl. Red, blue, yellow flowers. 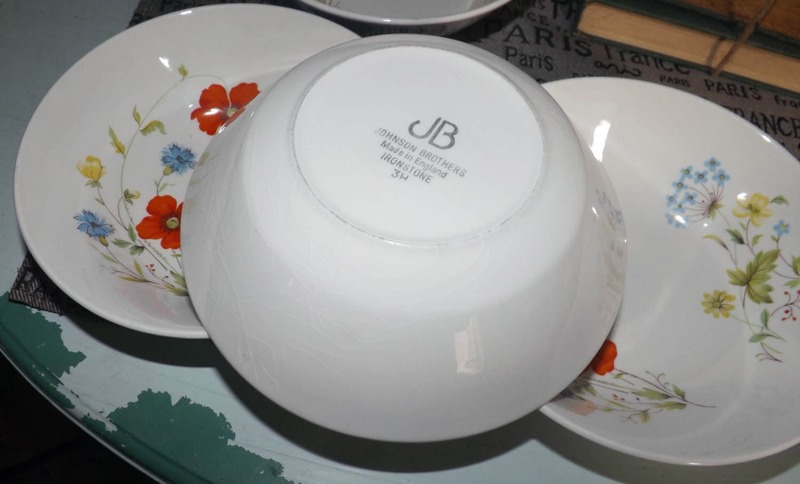 Vintage (1970s) Johnson Brothers Summertime pattern cereal, soup, or salad bowl. 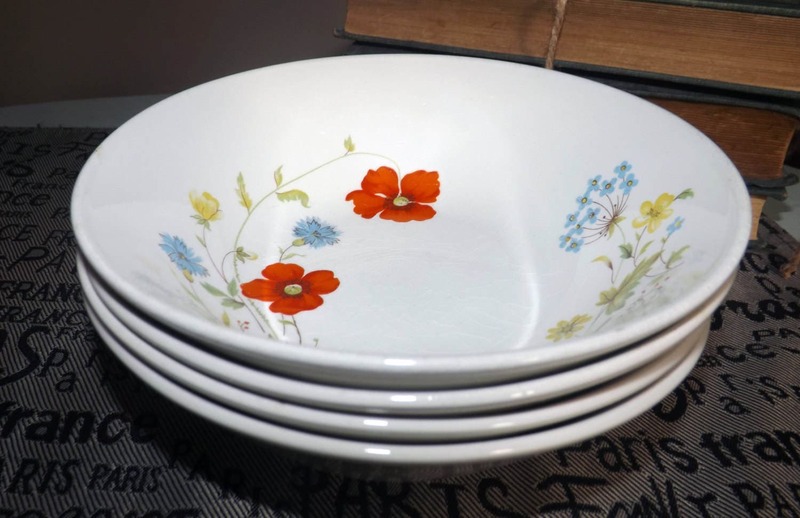 Made in England, Summertime is now a very hard-to-find pattern Johnson Brothers' pattern featuring red, blue and yellow flowers set against a pure white ground. In EXCELLENT! vintage condition with NO! chips, nicks, cracks, or fleabites and NO! marks or stains. There are some VERY LIGHT! 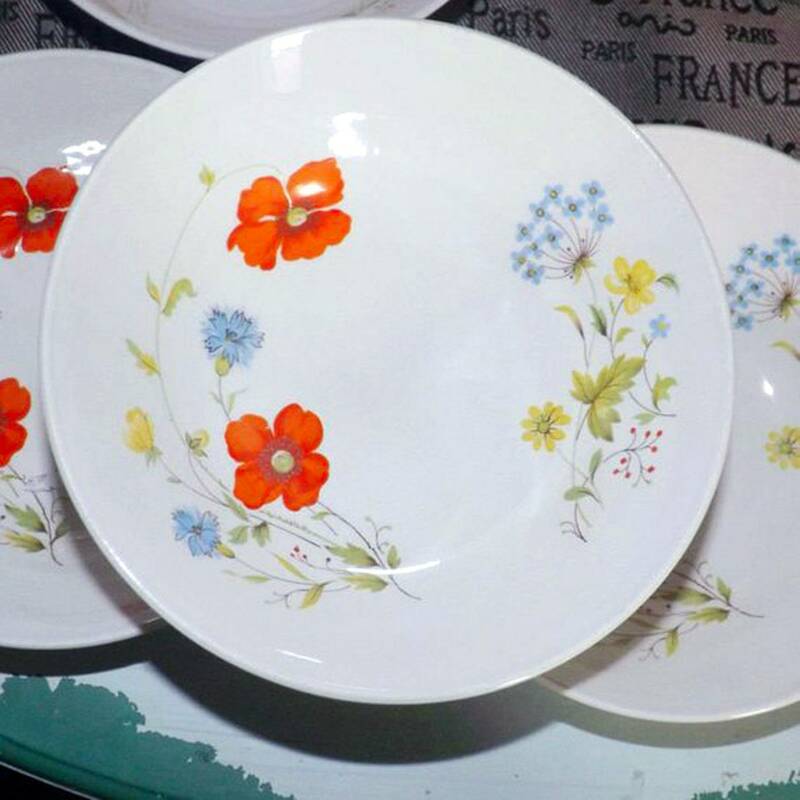 scratches to the multicolor florals and there is MILD! 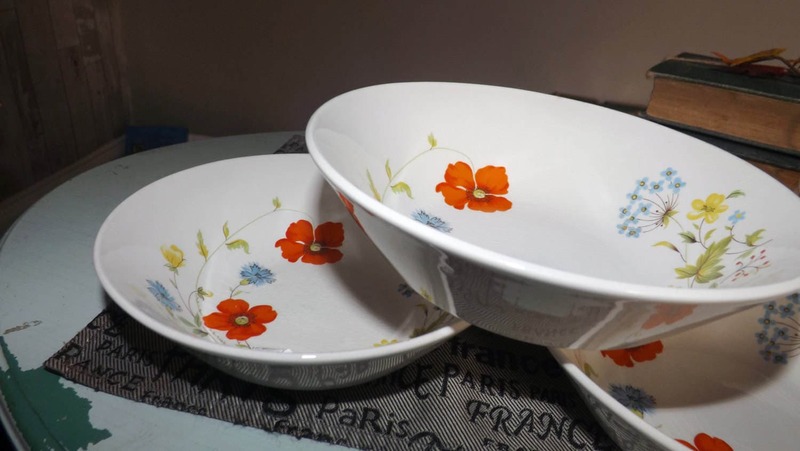 yet age-appropriate crazing, most notably to the side of the bowl (please refer to the posted photos for a complete visual of the pieces) but NO! real signs of use or wear. The flowers are bright and vibrant with NO! noted fading. Approximate measurements: 7" in diameter x 3-3/8" deep.